With the NBA’s regular season now in the home stretch, every player, coach, fan and pundit is undoubtedly focused on how things will finish, as the battles for playoff places are likely to be intense in both the Eastern and Western Conference. The end of the NBA trade deadline in the 2013/14 season offered the perfect opportunity for teams to solidify and improve their rosters towards having the best chance of reaching the playoffs and, quite possibly, the NBA Finals. Trade deals often involve an exchange of two players and/or draft picks, with a number of selected players instantly traded as coaches look toward improving the present quality of their roster and keeping one eye on the future. From up-and-coming talents and superstars to NBA veterans, every player is available for the trade, with their own unique qualities and attributes being a particular selling point for teams who wish to improve their defensive guard or point scoring at the business end of the court. A considerable volume of speculation and rumor is often prominent during any trade window, with the February 20th deadline leading to a flurry of deals that are either expected or take everyone by surprise. 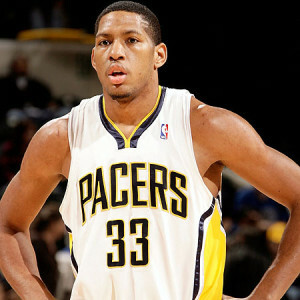 The Indiana Pacers, leaders of the Eastern Conference and ahead of the Central Division by a considerable margin, made a big decision by sending former All-Star Danny Granger, along with a draft pick, to the Philadelphia 76ers in exchange for point guard Evan Turner and power forward Lavoy Allen. Granger’s expiring contract provided a tough call for the Pacers, although his $14 million contract was enough for Frank Vogel to trade him for two young players who add more value and strength in depth on the court. The Denver Nuggets were widely reported to be in negotiation talks with Beno Udrih, with the New York Knicks point guard targeted as the player to improve their scoring prowess at the 3. After a potential trade with the Knicks broke down, Denver turned to point guard Aaron Brooks who, despite failing to recapture the scintillating form that led to an All-Star appearance in 2010, is in superb form shooting from deep which should make up for Denver’s inefficiencies this season. The Houston Rockets received forward Jordan Hamilton in exchange in what appears to be good business all around, as Hamilton has all the attributes to slot nicely into the Rocket’s wide-open offense. One of the more expected and rumored deals in the trade finally evolved as Gary Neal and Ramon Sessions switched teams, although the deal was far bigger than expected. The Charlotte Bobcats received Neal and Luke Ridnour, with Sessions and Jeff Adrien traded to the Milwaukee Bucks in exchange. Although the quality of Neal’s outside shooting should be a good fit in the Bobcat’s offense, they paid a considerable price to get their man, particularly if Sessions performs as well as he can. This entry was posted in Hardwood by Guest Authors. Bookmark the permalink.